An indelible tale of friendship and human commitment to wildlife conservation, set in the rainforest of the Central African Republic, where the last wild herd of forest elephants are safeguarded by American field biologist Andrea Turkalo, Bantu eco-guard Zephirine Mbele, Israeli environmental security contractor Nir Kalron, and a Bayaka tracker Sessely Bernard, who was born on the land where the elephants roam. Dzanga Bai—village of elephants—is a clearing in the rainforest in a remote corner of the Central African Republic. African Grey parrots swoop and rare forest elephants congregate here to bathe in the mud and drink the mineral-rich water. But the lush canopy in the Dzanga National Park is not enough to keep the elephants safe. Political unrest, poverty, and greed fuel a poaching pandemic that threatens their very existence. Fifty thousand elephants live in the Central African Rainforest. Last year 14,000 were illegally killed for their ivory. Elephant Path is the story of how an appreciation for the Dzanga Bai’s elephants crosses cultural, race and geographic differences, creating solidarity among those who value them. 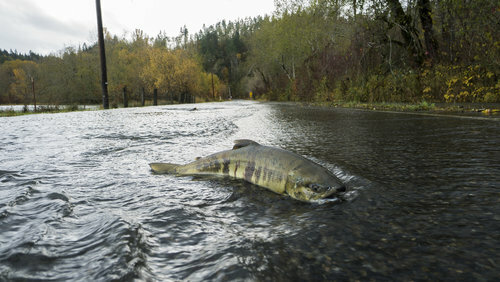 The Skokomish River in Washington State has been so altered that now wild salmon become lost and have to cross roads in order to find home. 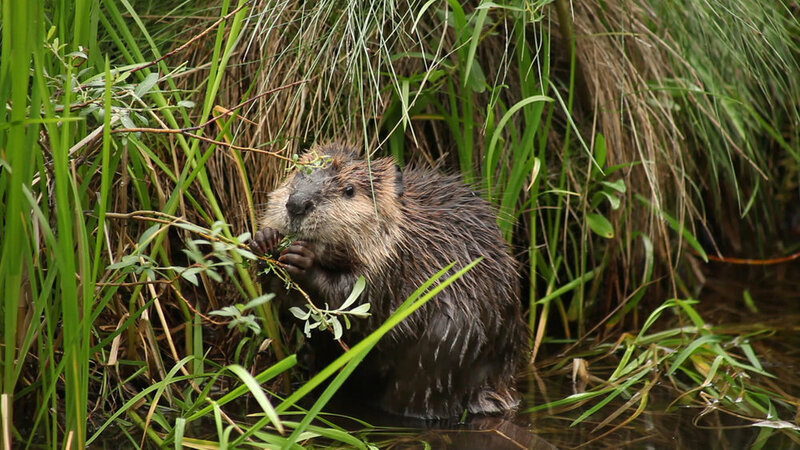 SUZANNE FOUTY, Hydrologist and wildlife advocate featured in the film, THE BEAVER BELIEVERS. The Beaver Believers tells the urgent and whimsical story of an unlikely cadre of activists - a biologist, a hydrologist, a botanist, an ecologist, a psychologist, and a hairdresser - who share a common vision: restoring the North American Beaver, that most industrious, ingenious, furry little engineer, to the watersheds of the American West. Australian music composer Rae Howell’s Bee Sharpe Honeybee project brings together art, music, science and conservation to create a new way of observing and appreciating honeybees. On a six week visit to Minnesota, she collaborated with musicians, scientists, beekeepers, animators and University of Minnesota’s renowned Bee Lab to create an original multi-media string quartet composition based on audio recordings of honeybees. Directed by Deacon Warner| 2018 | US | 19 MINS. Nearing the end of his life, sculptor Robert Wiggs looks back on a lifelong obsession with patterns. 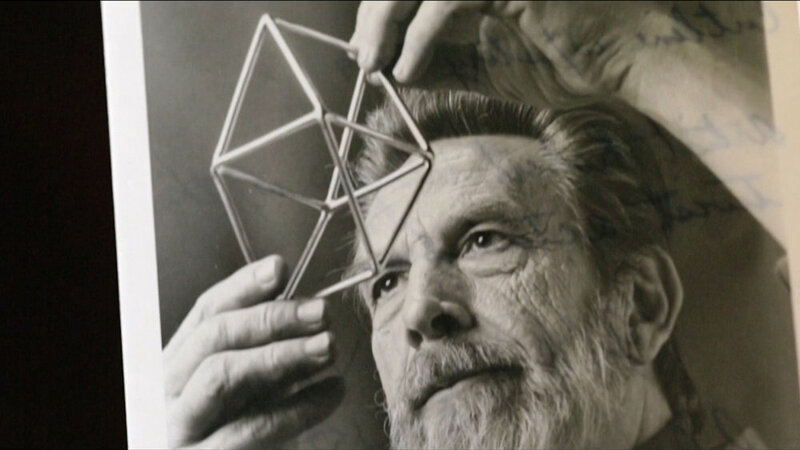 Never formally trained in mathematics, Wiggs studied mud cracks, bee hives, and tree bark to create a geometric system that rivals the work of academic mathematicians, a system which he expressed and explored in scores of sculptures. Bending Lines is a story of obsession, of vision, and of the enduring conversation between art and science. Visionary film director Werner Herzog descends into the Chauvet-Pont-d’Arc Cave in southern France, to film, explore and contemplate the oldest human drawings known to - and rarely allowed to be viewed by - modern man. Directed by Werner Herzog | 2011 | France | 1 HR 35 MINS. The Marañón River is the principle tributary of the Amazon, the world's largest river. American whitewater enthusiasts have dubbed it “the Grand Canyon of South America”, but little is scientifically documented about the ecological significance of the river to the Amazon biome. As the energy demands of Peru increase, the currently free flowing Marañón River faces over 20 proposed dam projects, two of which have already been approved. 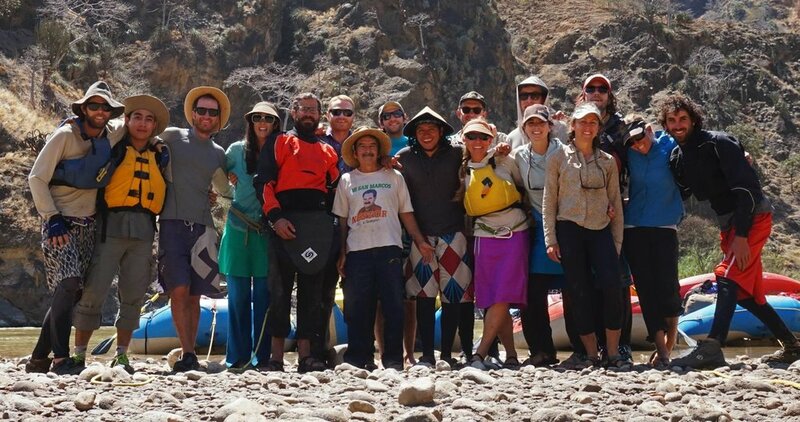 An international team of scientists and river experts spent 28 days rafting the Marañón to document the natural and cultural resources that would be eminently impacted by the proposed dams and to meet the people who live along the river and rely on it. Directed by Henry Worobec | 2018 | US | 43 MINS. Through a beautiful exploration of geo-therapy strategies that can literally reverse the effects of runaway global warming, Dirt Rich inspires the viewer to discover that through the return of carbon to the soil, we solve two of the most challenging environmental issues of the day by re-stabilizing safe atmospheric carbon levels and revitalizing soils. Through regenerative agricultural practices, reforestation of abandoned land, protection and the restoration of carbon rich wetlands, and protection of keystone species, Dirt Rich educates and inspires viewers to contemplate how our choices matter, and that everything on this planet connects. An immersive and meditative documentary that reveals how the revolutionary landscape designer, Piet Oudolf, upends our conventional notions of nature, public space, and, ultimately, beauty itself. Directed by Thomas Piper | 2017 | US | 75 MINS. The wild Olympic Peninsula is like nowhere else. 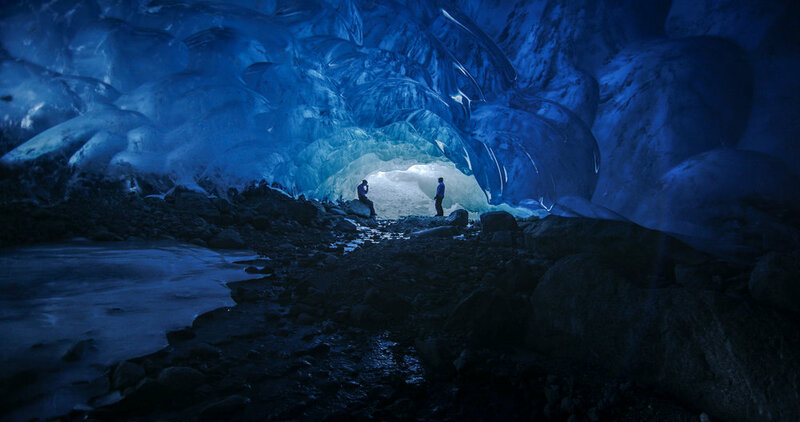 It has been recognized as a national park, a wilderness area, an International Biosphere Reserve and World Heritage Site, and the quietest space in the lower 48. Yet, the park’s rare and distinctive soundscape is threatened by new and unnatural noises: Navy electronic warfare training by jet in the skies over the park. Hear Our Olympics examines this threat and the challenges it poses to the park’s soundscape as well as to U.S. military veterans. A meditative, immersive and spiritual film examining the possibilities for humans to bridge the divide between themselves and dolphins, in order to learn from their wisdom. Humans and dolphins. Two ways of life. Two mentalities. The artificial and the genuine. Is contact possible between them? Intraterrestrial inhabitants of the Earth - not us or them, but us with them. Directed by Alexander & Nicole Gratovsky | 2017 | Spain | 55 MINS. Fungi are the most under appreciated and unexplained organisms, yet they could cure you from smallpox and turn cardboard boxes into forests. This is the incredible story of how fungi made life on land possible. 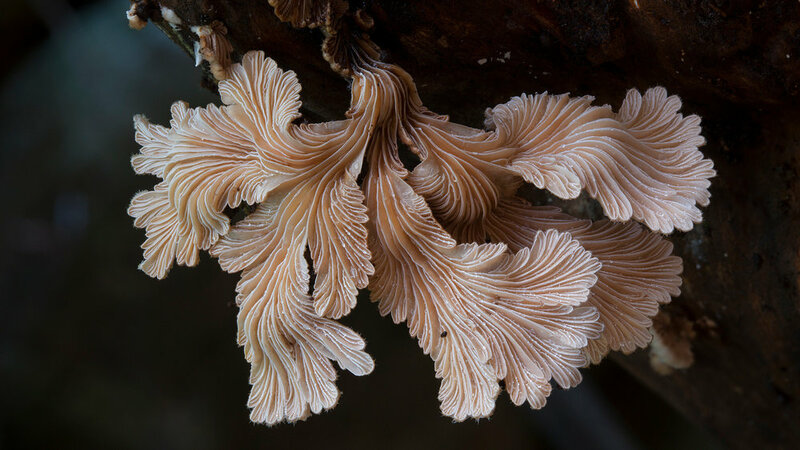 Neither plants nor animals - fungi represent a third mode of life and belong to their own kingdom. By looking at fungi in the context of evolution and natural history, scientists are making discoveries that will change our lives. Some fungi will save us, others will threaten us and we are just beginning to understand which is which. Based on the Hopi people's word for "unbalanced life," this groundbreaking experimental film directed by Godfrey Reggio features stunning cinematography by Ron Fricke (BARAKA) and an exquisite original music score by the legendary American composer Philip Glass. Considered to be an cinematic environmental masterpiece, the film is a visceral exploration of mankind's relationship to nature. Directed by Godfrey Reggio | 1982 | US | 1 HR. 27 MINS. The great eclipse of 2017 has passed. 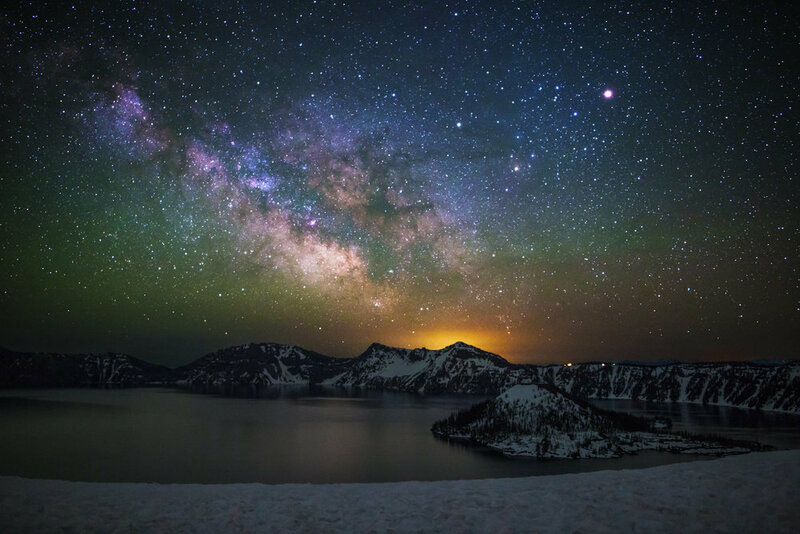 Experience it one more time in this spectacular cinematic short, filmed with multiple cameras directly in the path of totality in an isolated mountain range in Eastern Oregon. Directed by David Elkins | 2017 | US | 5 MINS. The awe that mountainous landscapes evoke is universal. Yet in British Columbia, a province that is 75% mountains, most seldom venture into true wilderness. Living amongst us is a special breed of people. They are undefined by age, gender, profession or background, but for them, the draw of the mountains is so strong that their lives must revolve around it. A mother-daughter team attempting a six month, self supported journey through a mountain wilderness; the gripping story an avalanche burial; a group of nuns who inhabit a mountain retreat to be closer to God; an impassioned alpinist; a focused snow artist; a couple who has been living off grid in the mountains for nearly 50 years. Shot in cinematic detail, This Mountain Life is a riveting examination of human passion set high in the peaks of British Columbia. Directed by Nate Dappen | 2018 | US | 25 MINS. Directed by Ellen Osborne | 2018 | US | 4 MINS. Chad Brown, founder of Soul River Inc., Oregon Wild, hip hop artist Mic Crenshaw and social justice advocate Sharon Gary-Smith. The event will include screenings of the new short film CHANDALAR, which profiles Soul River's work bringing veterans and youth together in outdoor immersion programs on public lands, and Mic Crenshaw's new environmentally-focused music video EARTHBOUND. The films will be followed by a panel discussion about diversity in environmental advocacy and how we all can play a role in building a more diverse community of public lands users and advocates. Decades ago, poachers would set off explosives in the cool waters of a pool on a North Umpqua River tributary, killing steelhead by the dozens. That was before Lee Spencer, and his beloved dog settled in almost two decades ago, to watch over and protect the wild steelhead. PNW premiere | Directed by Katie Falkenberg | 2018 | US | 6 MINS. As dusk falls, thousands of crows descend upon the park blocks of downtown Portland. 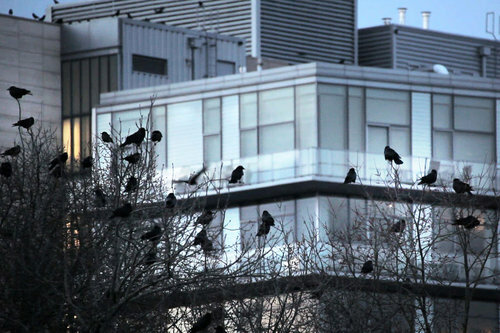 This dramatic gathering (colloquially known as a "murder of crows") is explored through the eyes of a child and further explained by a specialist from the Audubon Society of Portland. Directed by Irene Tejaratchi Hess | 2018 | US | 5 MINS. Directed by Sriram Murali | 2018 | US | 55 MINS. 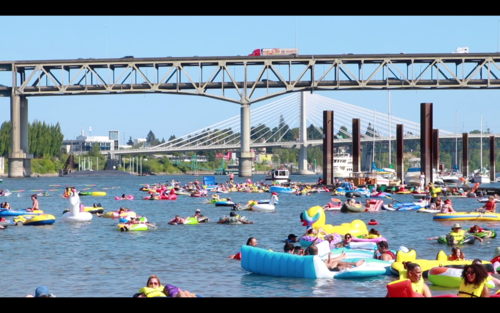 There's a disconnect between the people of Portland, Oregon and the river that is central to the city. This film calls attention to an organization trying to bridge this gap: the Human Access Project. Directed by Atlas Finch, Theo Morris, Moira Peterson | 2017 | 5 MINS. This short film documents the planning, construction and use of the Weaving Wagon, a woven willow, bicycle-powered cart that allows environmental artists Sharon Kallis and Rebecca Graham to take their community-based art practice on the road, without the use of fossil fuels. When Old Growth Ends tells a love story about the Tongass National Forest of SE Alaska through the eyes of the salmon, the old-growth trees, the indigenous peoples, and a group of women with an affinity for wild places. The film illuminates how the failing timber industry and its government enablers have ruptured the heart of the Tongass, leaving the last remaining old-growth temperate rainforest in the nation vulnerable to complete unraveling.